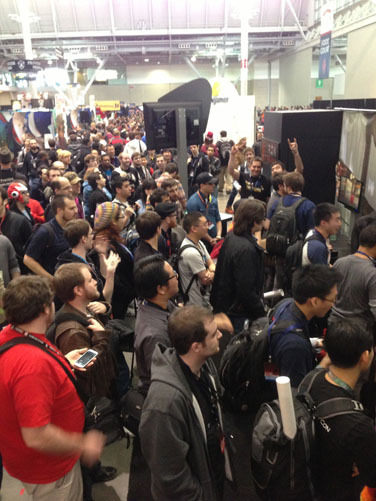 At Iron Galaxy we love fighting games. To the average fan, most of what makes them fun is hidden behind a never-ending series of input combinations they have to memorize. That’s why Divekick has just two buttons: Dive (into the air) makes your character jump straight up. Kick causes your character to fly foot first at a downward angle. If you press Kick on the ground, you can jump away from your opponent. 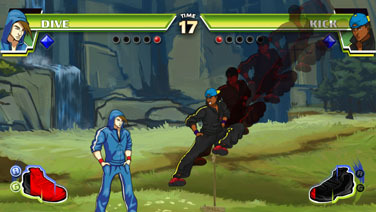 Utilizing these moves, the first hit will win the round, and the player that wins five rounds first wins the game. 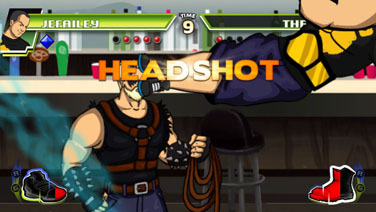 Divekick is pure adrenaline, awareness, and outsmarting your enemy. 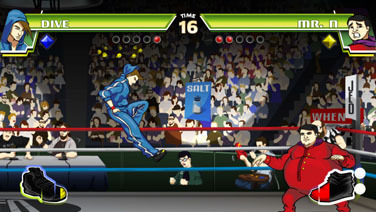 It’s a fighting game deconstructed into its purest form. DIVEKICK! 13 Completely unique and original characters, each with their own fighting style and special techniques. That's 91 unique match-ups to play and learn. Ranked and non-ranked GGPO-powered online play, the most trusted netcode in fighting games. Includes ranking boards for each character, as well as overall. Local VS play for two players, with quick and easy button reconfiguration to accommodate a room full of unique personalities. A trio of Russian film students lived in the Iron Galaxy audio studio for twelve weeks while filming these promotional documentaries. We asked them to show the world why working on Divekick is deserving of a cash reward (which most of us will use for psychological treatment, thanks Dave Lang). Feast your eyes on these amazing Divekick moments. 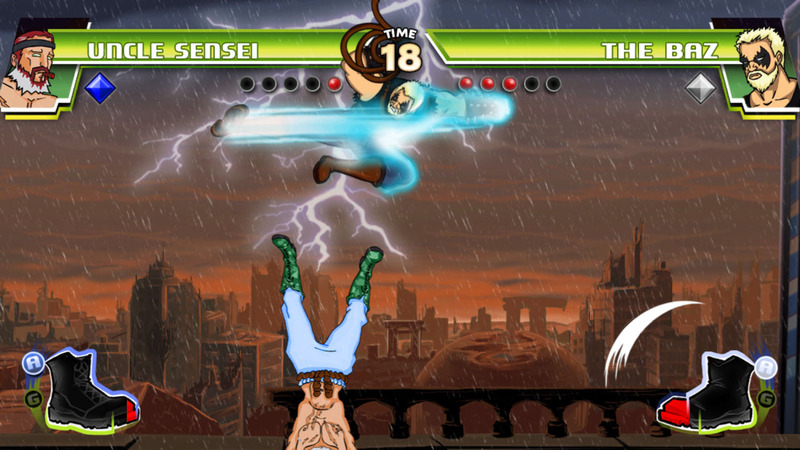 Want to create your own Divekick fan-art? Custom kick-box skin? Life-size Jefailey tattoo? 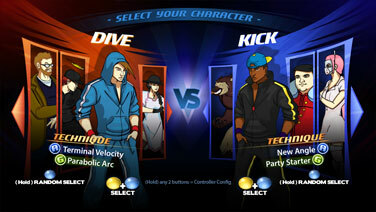 Download the official Divekick Art Pack! For free. Because we love you. "If you were afraid that the idea of a fighter that's controlled with just two buttons was a joke that would get old quickly, then you clearly haven't played much Divekick!." 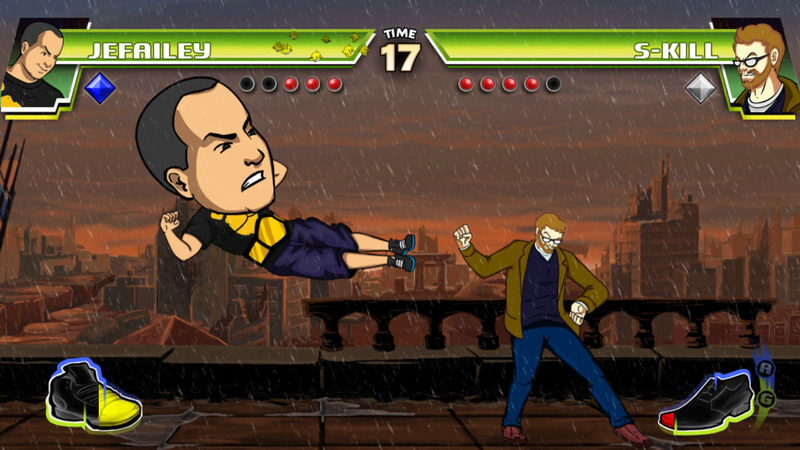 "Simply put, Divekick is a fighting game that you can — and should! — play even if you're not usually good at fighting games." 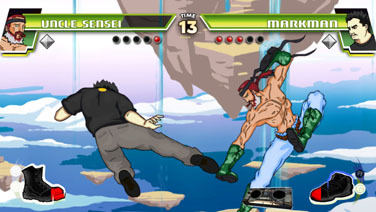 "It has captured everything we love about fighting games in a mere two buttons. Simply put, it’s genius. This is no joke." 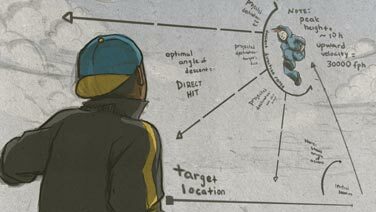 "...you owe it to yourself to check out "Divekick" and be reminded about what makes [fighting games] so great, and clearly it's divekicks." 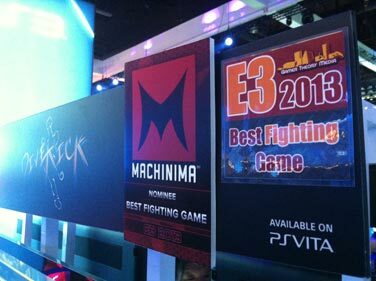 Divekick is available for PlayStation® 3, PlayStation® Vita, and Steam. Divekick for PlayStation® Network is cross-buy: you can play Divekick on both your PlayStation® 3 and PlayStation® Vita with just one purchase! Tired of wearing the same old rags day-in and day-out? Need a kitten-sized Mr. N plushie to keep you warm at night? We've got you covered. 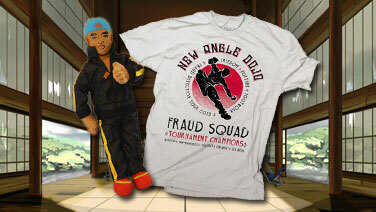 Visit the OTG Store for amazing limited-run Divekick merchandise! Having technical problems with Divekick? Visit the Divekick Technical Support Forum for PC/Steam or PS3/PS Vita! Steam © 2013 Valve Corporation. Steam and the Steam logo are trademarks and/or registered trademarks of Valve Corporation in the U.S. and/or other countries.